This three bedroom town home features a fully equipped kitchen, living room with gas fireplace, optional daily housekeeping*, washer & dryers, and private ski storage just outside of the unit. This multi-level three bedroom includes a master bedroom with king size bed and adjoining full bath, as well as two additional bedrooms, each with two twin beds. *A departure cleaning fee is added to each reservation. A mid- stay cleaning fee will be added to all reservations 5 nights or more. Daily housekeeping is available a la carte with 48 hours notice. This unit is located within walking distance to Stowe Mountain Resort’s Toll House Chairlift (weather dependent, winter seasonal). In the summer months, enjoy the heated outdoor pool located within the Townhome community, as well as Stowe Mountain Resort's attractions, including the the Auto Toll Road, ZipLine, TreeTop Adventure, and Stowe Rocks indoor climbing center. 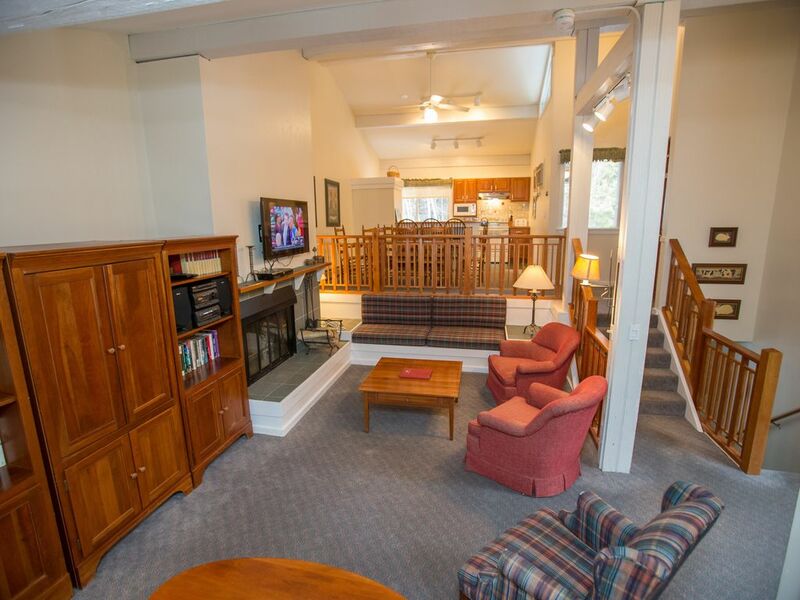 * Additionally, this condominium is minutes from the village of Stowe, restaurants, dining and Vermont favorite past times! *Some adventures/amenities are seasonal/weather dependent, and may require additional fees. Housekeeping Fees: A Departure Cleaning Fee is added to every reservation. A Mid-Stay Cleaning Fee of $122.50 is added to reservations of 5 nights or more. Optional daily housekeeping is available a la carte; please inquire upon making the reservation.